Callistemon citrinus (Curtis) Skeels is a shrub native of Australia. In spite of containing an important number of bioactive compounds (1,8-cineole, limonene and α-terpineol) recognized as a potential chemotherapeutic agents, it is only used as an ornamental plant in Mexico. This study investigated the chemopreventive effect of C. citrinus leaves extract on 1,2-dimethylhydrazine (DMH)-induced colon carcinogenesis in rats. Twenty-four rats were divided into 3 groups of eight rats. Group 1 served as negative control, groups 2 and 3 were given subcutaneous injections of DMH (65 mg/kg b.w.) twice a week the first 2 weeks, and then one the third week. In addition, group 3 was administrated with leaves extracts (250 mg/kg b.w., orally daily) during the 22 weeks of the experiment. Animals were killed and the presence of colon tumors and aberrant crypt foci (ACF) were scored for number and distribution pattern along the colon. The activity of two-phase II enzymes quinone reductase (QR) and glutathione S-transferase (GST) was determined in the liver and three segments of the colon: proximal, middle and distal. The results show that rats feed with C. citrinus leaves extract significantly reduced the size of tumors, the number of ACF and the crypt multiplicity. Additionally, C. citrinus leaves extract increased or maintained the activity of QR and GST in the different tissues as compared with DHM-treated group (p > 0.05). 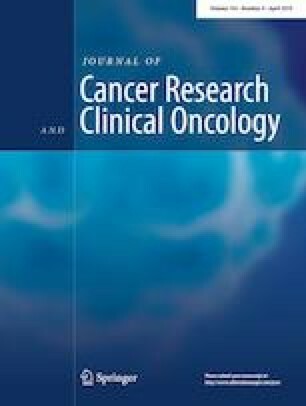 This study demonstrates that Callistemon citrinus extract could have a chemopreventive effect against colon carcinogenesis. The authors would like to thank the Scientific Research Coordination of University of Michoacan for the financial support of this work. PR-C was involved in the manuscript preparation, designed and supervised this research. Students AL-M and LGOP performed the laboratory tests. DG-H and BN-M supervised animals’ experimentation and EM-H supervised the histological analysis. All the authors approved the manuscript. The experimental protocol and animal procedures were approved by the Institutional Bioethics and Biosecurity Committee in the Instituto de Investigaciones Químico Biológicas, Universidad Michoacana de San Nicolas de Hiadalgo (approval date: 01/02/2017; Protocol ID IIQB-CIBE-05-2017). This research accomplishes with the Mexican Regulations (NOM-062-ZOO-1999, SAGARPA, Mexico) of technical specifications for production, management, care and use of laboratory animals.